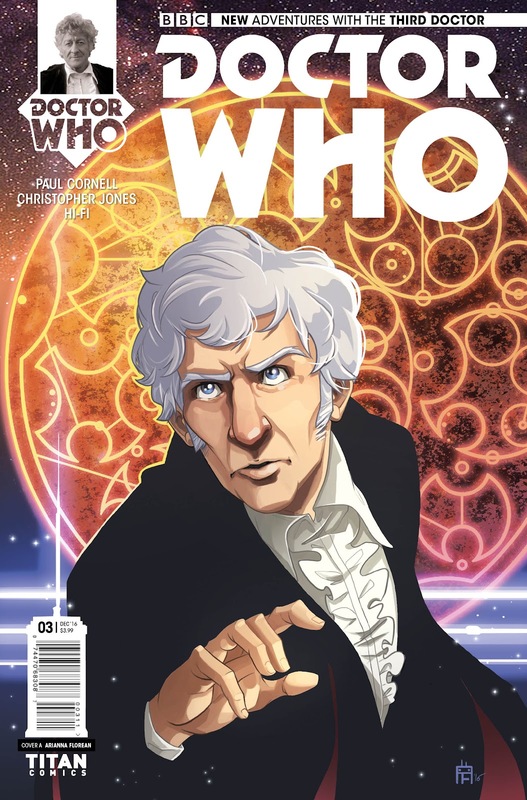 The Fellowship has obtained a first look at DOCTOR WHO: THE THIRD DOCTOR #3 from Titan Comics. 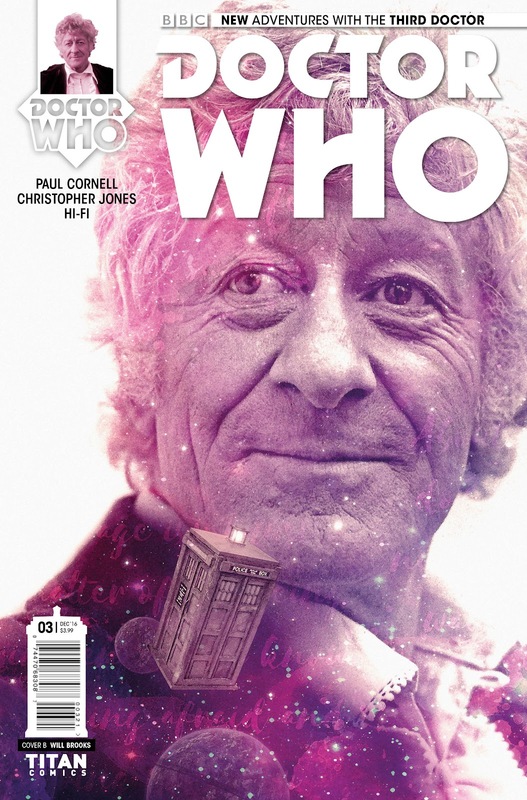 The issue, which hits stores November 30th, is written by Paul Cornell with art by Christopher Jones. The covers are by Arianna Florean, Kelly Yates, and a Photo variant. 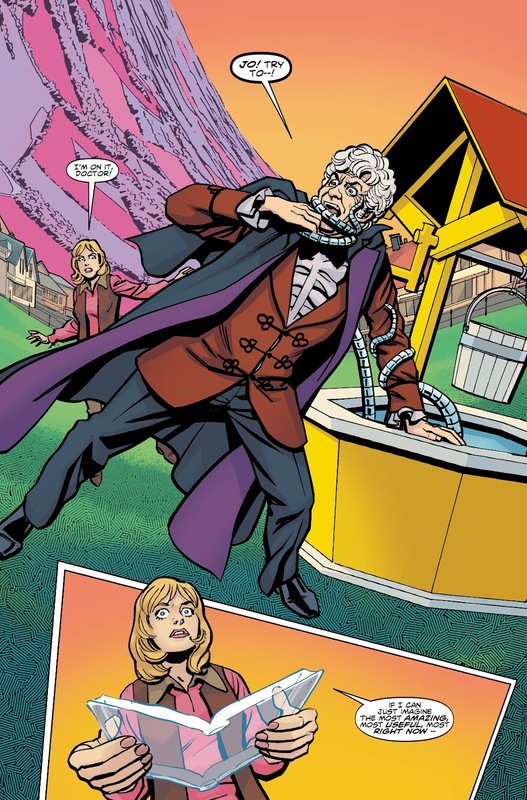 As the Doctor and Jo Grant attempt to defeat an invasion of shapeshifting robots, their true enemy plots against them from inside UNIT! 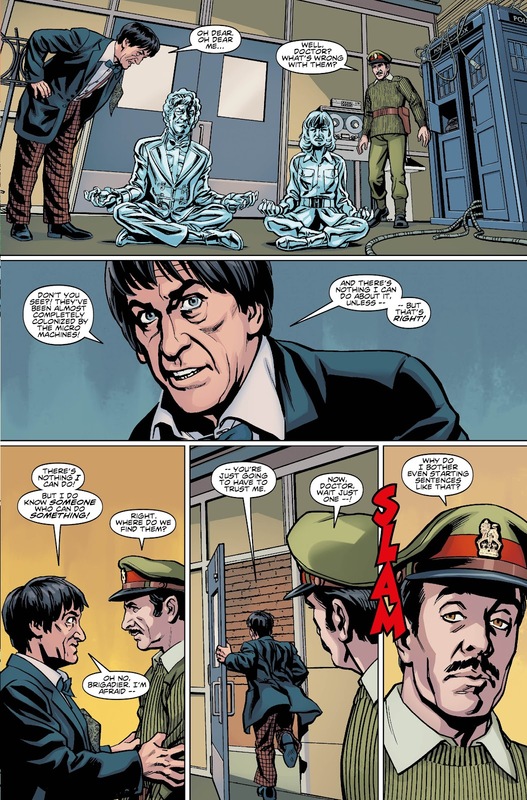 When danger comes, wearing a familiar face, will the Doctor be able to see it in time - or will one of his closest allies pay the price? 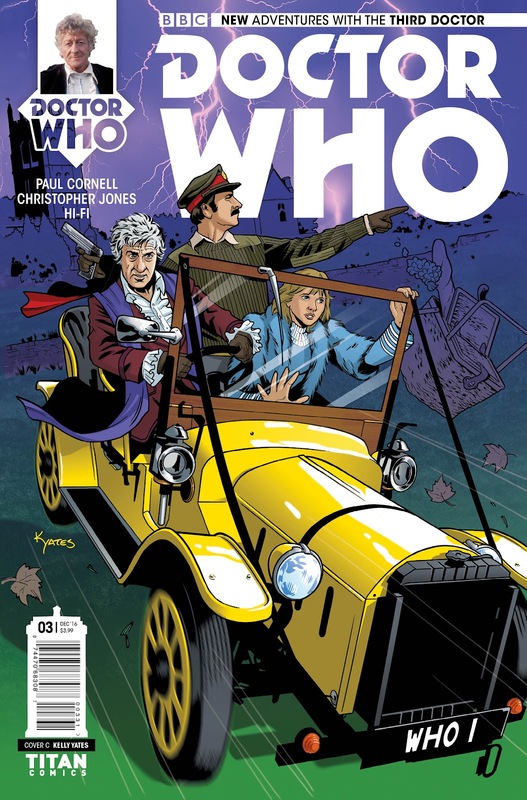 Doctor Who superstar Paul Cornell and stunning artist Christopher Jones continue their take on a classic Doctor as you've never seen him before!